Despite being part of the famed UB trainwreck and helping steer the Epic Poker League off a cliff, Annie Duke is still giving advice to people. And this time, her words of wisdom center on managing your portfolio. And no, tip #1 was not to refrain from investing in any poker operation that Duke is involved with. Speaking at the Investment Management Consultants Assoc. (IMCA) in Las Vegas, the WSOP champion centered her speech on the Kenny Rogers-sung phrase “you’ve got to know when to hold ’em, know when to fold ’em” – a.k.a. know when to walk away from bad investments. Duke also discussed how, during the Cold War, Washington strategists were looking for a game to model their back-and-forth moves against the Soviets. They first chose chess, then went with poker due to its mix of psychology and dealing with uncertainty. “Poker is a game of decision making under conditions of uncertainty over time,” she told the IMCA crowd. The former poker pro also covered some of the key mistakes that investors make, especially continuing on with a bad investment just because one has already committed lots of money to it. Instead, the ideal move in this situation would be to pull out what money you have left just because the odds of succeeding are low. One more gaffe that Duke covered involved people not investing in their future selves. The problem is that people don’t know their future selves, and they instead want to direct all their money to who they are today. A final piece of advice that she offered revolved around learning from your mistakes. “If you credit all wins to your skill and all losses to bad luck, you never learn and never improve,” she said. 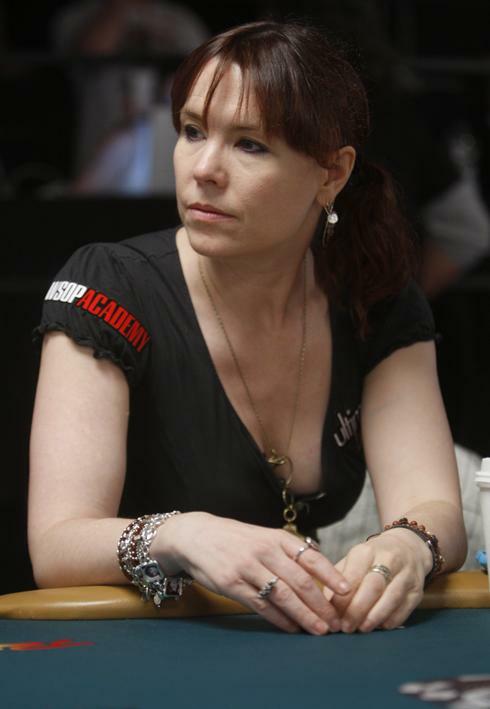 Annie Duke is no doubt loathed by many in the poker community today. However, if Duke does have one redeemable quality, it seems that she’s good at relating what she learned in poker to the business world. Does the Global Poker League stand a Chance? Taking a cue from sports leagues like the NBA and NFL, Global Poker Index founder Alex Dreyfus recently announced the formation of the “Global Poker League,” or GPL for short. GPL will be Poker’s professional league. The initial vision is to have a series of live events akin to a sports season co-hosted by international poker events, with between six to eight different franchises (poker teams) competing against one another with initial seasons lasting a short three to four months. Unlike the Global Poker Masters – where teams are comprised of each Nation’s top 5 available players – GPL teams will consist of “draftable” players from GPI’s Rankings and wildcard entries. I’ve already presented this concept, and terms for participation, to a number of prospective future team owners. It’s been an extremely positive experience – reception has been warm across the board and we’ve already had a number of commitments from intrigued future ‘franchise’ owners. Commitments from leading figures from both in front of and behind the felt are rolling in too. So does Dreyfus’ proposed league stand a chance of success? Well looking back through history, there’s a little thing called the Epic Poker League, which flopped miserably. The EPL was designed to be a professional poker league of sorts, where qualified players competed in tournaments – all marching towards a $1 million freeroll. The EPL was a massive failure, highlighted by the fact that the $1 million freeroll never took place. 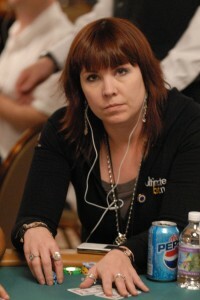 In the aftermath, Annie Duke’s reputation was tarnished even more than through her long-term promotional ties to UB. So is Dreyfus destined to be the next Duke? Probably not since he can learn from the huge mistakes of the EPL. Plus he seems like a very capable business guy. But this isn’t necessarily to say that a professional poker league will take off either. Only time will tell if Dreyfus can make his vision a success. Read more about the GPL at Dreyfus’ blog. Read more about the Sports Betting at GTBets and their blog. Posted in Poker News, Poker Tournaments, What's New | Comments Off on Does the Global Poker League stand a Chance? Thought Jeffrey Pollack would fade away into the woodwork after the Epic Poker League disaster? Not a chance as the former EPL Executive Chairman and ex-WSOP Commissioner is on to a new venture: working with billionaire William Foley. One scenario is for Foley to buy the money-losing Arizona Coyotes and move them to Las Vegas, a source said. Earlier this month, Philadelphia hedge fund manager Andrew Barroway reached a deal to acquire a controlling stake in the Coyotes franchise. Barroway sees flipping the team as a good investment, the source added. NHL Commissioner Gary Bettman’s half brother, Jeffrey Pollack, has been advising Barroway, sources said. Pollack also lives in Las Vegas. While an NHL spokesman declined to discuss what, if any talks the league has held with Foley, he said it was “categorically wrong” that Foley is planning to buy the Coyotes and move them to Sin City. As the report suggests, there’s some definite uncertainty regarding any plans to move the Phoenix Coyotes. Of course, with the lenghty amount of years that it takes to reach a deal of such magnitude, there’s not going to be any confirmation on if the Phoenix scenario is for real or not. Another option is simply expansion, an idea that Bettman is open to. So with enough push from Foley and his crew, this is a deal that could definitely happen. And Pollack will be critical to making it a reality since the adviser not only has a family connection with Bettman, but also knows the Las Vegas market fairly well. In any case, it’s interesting to see the path that Pollack’s career has taken. He’s much like his former colleague, Annie Duke, who became a business speaker after crashing out as the EPL Commissioner. 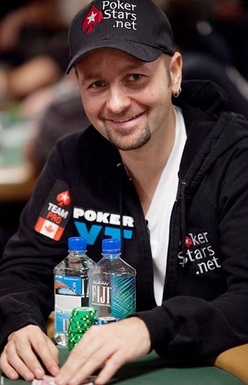 It seems like Daniel Negreanu has been the face of PokerStars forever. So it’s hard to remember him representing a different online poker site at any point in time. However, going back to 2004, Kid Poker was actually involved in his own poker room called FullContactPoker. Some players today may recognize this site because it’s where Negreanu writes all of his blog posts from. But back then, it was a full-fledged internet poker room that mainly attracted Americans. Negreanu helped FullContactPoker quickly experience success by undertaking a massive promotional effort. This included doing up to 50 radio interviews a day across the United States and Canada, plus getting the word out through other channels. His poker site showed such promise that one company even wanted to buy him out for $170 million. However, the Unlawful Internet Gambling Enforcement Act (UIGEA) came about at the end of 2006, thus throwing the US-friendly poker market into disarray. This forced Negreanu to quickly find something else to do with FullContactPoker. So he ended up signing a deal with PokerStars and moving his player base there. I believed in PokerStars from the start, as the company was built by a group of IBM professionals. They weren’t some random poker-playing dudes who wanted to be businessmen. Full Tilt was off the mark; I wasn’t going to sign with them, because I didn’t trust the infrastructure even back then. If I was going to attach my name to something, game security, integrity, and longevity were most important. Given that Party Poker’s player base has dropped considerably, Full Tilt had to close before being bought by Stars, and UB Poker went completely under never to resurface again, PokerStars definitely proved to be the right choice. Furthermore, it appears as if Negreanu is about as good at reading business deals as he is with poker opponents. For the past few years, poker investigator/blogger Scott Bell has been compiling evidence on the UltimateBet cheating scandal, which saw dozens of high stakes players defrauded by superusers. And now, Bell is set to release his documentary via Video on Demand on October 22nd. The story tracks an intersection of old school hustlers and technology during the “poker boom”. After successfully launching a popular site, a group of insiders used software access to defraud players over a period of years without detection. When discovered, they went to great lengths to cover-up the crimes in order to repay less than the amount stolen. Nobody was ever investigated, arrested, indicted or prosecuted for the crimes. The subtext is how a small group of players crowdsourced an online investigation to force the site into repaying far more than they intended, if not fully. Some of those who were cheated in the scandal will be featured in this documentary, including Brad Booth, Mike “trambopoline” Fosco and Todd “Dan Druff” Witteles. Besides appearances by victims, UltimateBeat will also include bits with Travis Makar, who, earlier this year, released taped conversations from Russ Hamilton and Iovation CEO Greg Pierson – two of the biggest figures behind the UB cheating scandal. Now, six years after the UB scandal broke, many people still have questions they want answered. How much money did UB actually refund to affected players? What was Phil Hellmuth’s stake in the parent company? Did Annie Duke play a role in this scandal and/or cover-up? How are the original figures behind the cheating scandal set to capitalize on legal online poker today? 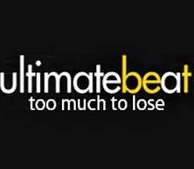 Hopefully UltimateBeat will help answer some or all of these questions. Did Annie Duke cheat at UB Poker? The biggest poker story from last week involved audio tapes being released that finally prove who was involved in the UB “God Mode” cheating scandal (2003-2007). In the tape, Russ Hamilton, Iovation CEO Greg Pierson, and Ultimate Bet lawyers, Daniel Friedberg and Sanford “Sandy” Millar all discuss how Hamilton cheated players out of millions through the God Mode (see other players’ hole cards). They then talk about ways to minimize the damage while repaying as few players as possible. One of the most interesting names brought up during this discussion is Annie Duke. The former WSOP champion is said to have possibly used God Mode – although not nearly to the extent that Hamilton did. In Duke’s case, she used God Mode (according to Hamilton) when it was on a 15-minute delay. This means that she didn’t see opponents’ hands in real-time, like Hamilton, but she would’ve been able to access hole cards that might not otherwise be available through hand histories. So our question is, would Duke be considered a cheater? Assuming Duke did indeed use God Mode, you’d have to consider her a cheater, even if it were on a 15-minute delay. Being able to see other players’ cards after a session provides a huge advantage because you’d get to see what range they played in various situations. So if we take Hamilton’s word at face-value, Annie Duke is a cheater. But that’s the thing: do we believe what Hamilton says? Based on his reputation and actions, the likely answer from most people is “no.” Sure Duke draws the ire of the poker community for her failed run as the Epic Poker League commissioner and promises of a $1 million freeroll which never materialized. But to lump her in the same boat as Russ Hamilton based on his word alone…now that’s hard to do. One final thing worth mentioning in this discussion is that Duke never had amazing online cash game results like Hamilton. So based on this evidence alone, it’s another piece supporting the theory that Duke isn’t really a cheater. Posted in Online Poker, Poker News | Comments Off on Did Annie Duke cheat at UB Poker? Famed poker pro Daniel Negreanu has never been one to back down from controversy. He was the most vocal pro when it came to bashing those who ran Full Tilt Poker intothe ground, and the Canadian has frequently ripped Annie Duke and her brother Howard Lederer. However, he recently found someone outside of the poker world to get into it with. Sarah looks waaaay better as a blond. Yeah that’s right, I went from ‪#Survivor to ‪#TheChallenge and I’m not ashamed to admit it! 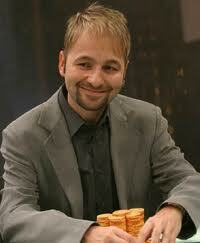 ‪@RealKidPoker when are you gonna come out of the closet? ‪@NickyCusato interesting question. I guess if I did you’d show me the ropes? Or “the rope” Hahahahaha! ‪@NickyCusato goosefraba bro. You need some anger management classes. KidPoker doesn’t normally get into twitter fights like these with anybody outside of the poker world. But it’s not surprising that Negreanu decided to send a zinger back when the basketball coach questioned his sexuality. Other casual observers and poker forum users have also made comments about Negreanu being gay too – possibly because he’s pretty ‘metro’ and isn’t married at the age of 38. But when looking at the fact that the Canadian frequently travels around the world and makes millions of dollars annually through poker, it’s not surprising that he’s still single. If you listen to Commissioner Annie Duke, you’d think that the Epic Poker League was the greatest thing to happen to poker. But if you pay attention to recent reports by several poker news outlets, you might conclude an entirely different thought. After all, it’s being reported that Pinnacle Entertainment is currently talking to EPL owners about buying the poker league. Popular speculation is that Jeffrey Pollack and the Palms Casino want to sell the EPL because they’re going through some major financial difficulties. The reason why is because they have delayed their fourth event along with the championship $1 million freeroll tournament until the spring. Considering the fact that this isn’t exactly something you expect from a thriving poker organization, it’s no wonder why people are skeptical about the Epic Poker League finances. As for their prospective buyer, Pinnacle Entertainment, they’re best known for operating several casinos throughout the United States. And they seem to be really motivated in acquiring the EPL since they’re trying to get the deal done by March. Assuming they do indeed buy this poker tournament league, it will be interesting to see how the EPL transforms. Will all of the events suddenly revolve around the Pinnacle properties in states like Indiana, Louisiana, Missouri and Ohio? Or will they continue to be held in the same scheduled locations as what we saw this year? Perhaps more importantly is what will happen to the TV deals and current structure of the league. Right now, 200 poker pros are invited to the EPL season events, while other players can work their way into the mix by meeting the specified requirements. However, under new ownership, this could all change if Pinnacle Entertainment doesn’t think the current model will offer future profits. We’ll have to revisit this discussion when/if Pinnacle does buy the Epic Poker League. There are some big updates in the poker world to report dealing with the Poker Hall of Fame and 2011 EPT San Remo tournament. First off, Barry Greenstein and Linda Johnson were inducted into the Poker Hall of Fame yesterday. 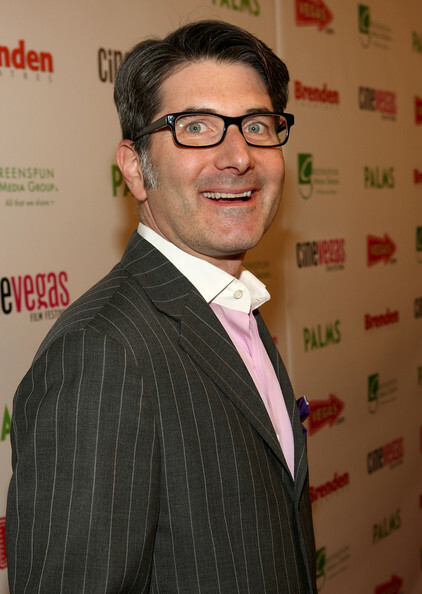 Barry Greenstein was a virtual lock after looking at the nominees, which included Annie Duke, Huck Seed, Tom McEvoy, Jack McClelland, Jennifer Harman-Traniello, John Juanda, Marcel Luske and Scotty Nguyen. Greenstein, who is called the Robin Hood of Poker for his charity work, got into the Hall via his $7.5 million in live tournament cashes and two WPT titles. In addition to this, Greenstein is a regular in the high stakes poker world. Linda Johnson’s resume includes being a driving force in starting the World Poker Tour, and starting CardPlayer Magazine mostly by herself. She is also a solid poker player with over $342,000 in winnings and a WSOP bracelet – though this played much less of a factor in her Poker Hall of Fame induction. 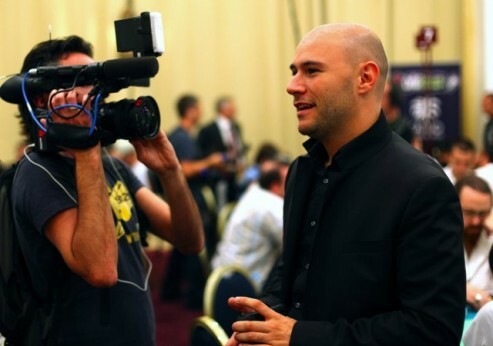 As for the 2011 EPT San Remo, the tournament was won by an unheralded player by the name of Andrey Pateychuk. The Russian player, who had just $46k in live tournament cashes before this victory, added another €680,000 ($965k) to his poker earnings after beating Dimitar Danchev heads-up. When the two players were the only ones remaining on the EPT San Remo final table, they decided to split €1.2 million of the leftover prize money, and play for the other €80,000. After a couple of hours of play, the two players were still near-even until Pateychuk went all-in with 6-7 unsuited. Danchev called with 9-T unsuited and flopped top pair with 9’s; unfortunately for him, the next two cards gave Pateychuk a runner-runner straight, and he won the hand. With very few chips left, Danchev was quickly eliminated, which gave Andrey Pateychuk the victory. Poker players sometimes catch a bad rap for being involved with gambling. After all, the activity is not legal everywhere and the game is often associated with mobsters and con men. That’s why I always like to see professional poker players giving back to the community, showing the world that we’re completely legit. This Thursday Annie Duke will be giving back by hosting a charity event to support California Governor Schwarzenegger’s nonprofit youth group, After-School All-Stars. Duke’s event is slated for 7:30 pm this Thursday at the Commerce Casino in LA. Celebrity guests including David Zayas, Don Cheadle, Trishelle Cannatella, Jennifer Elise Cox, Joshua Malina and Sara Rue are expected to attend, in addition to pro pro poker players Tiffany Michelle and Adam Levy. The celebs and poker pros will be competing for $35,000 in prizes. Of course, the prize money will all be donated to After-School All-Stars.